MoviePass, the $10-a-month subscription service allowing moviegoers to see a film a day at cinemas, has been chewed over in Hollywood — seen as both friend and foe. The haste with which the company hit the million subscriber milestone — announcing on Dec. 20 that it had done so, just four months after lowering the subscription cost to $10 from as much as $50 — suggests consumers see MoviePass’s value. 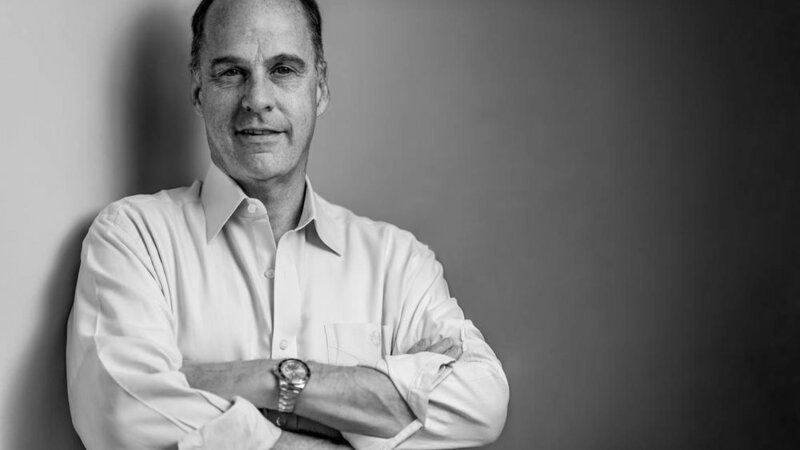 It took Netflix, of which MoviePass Chief Executive Mitch Lowe was a founding executive and which, of course, began life as a DVDs-by-mail service, more than three years to hit the 1 million subscriber mark. MoviePass had roughly 20,000 subscribers before the price cut, but demand for the service since has been much higher than Chief Executive Mitch Lowe expected. However, those in the industry and others following the business are concerned that MoviePass’s model is unsustainable. The question is how a movie-theater subscription company subsidizing its members’ potentially expensive film-going habits can be profitable? “It’s about the data,” said Ted Farnsworth, chief executive of Helios & Matheson Analytics Inc., which owns a majority stake in MoviePass. Helios & Matheson shares HMNY, +1.11% have been on a tear since the company took its majority position in August. Shares are up about 102% since that time. The stock has been volatile, too, reaching an intraday high of $38.86 per share in October, but closing Thursday at $6.90 a share. Short seller Andrew Left warned retail investors in October that Helios & Matheson shares would fall back to $20, and that MoviePass would never be a $1 billion company. When Helios & Matheson acquired MoviePass, the company also cut the price from as much as $50 a month to $9.95. But it is still shelling out the full price of tickets to studios and movie theaters. According to the National Association of Theater Owners, the average cost of a single movie ticket was $8.65 in 2016 — and double that figure in some major U.S. cities. That’s exactly what Farnsworth and MoviePass’s Lowe are banking on. If MoviePass is able to prove that it can drive incremental box-office revenue to studios and cinemas, Lowe said, the company can strike deals to share in the revenue from those sales, as well as from concessions. Read: Is MoviePass’s $10-a-month movie ticket deal really as epic as it seems? That could then lead to studios paying MoviePass to promote films to its users. 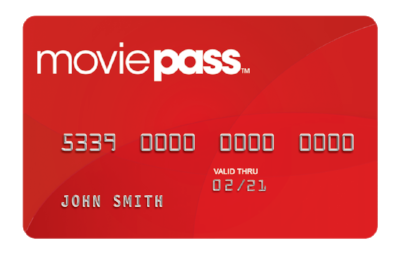 MoviePass has experimented with this already, and Farnsworth said 18% of users go to movies after prompting by the MoviePass app. Farnsworth and Lowe said they want to partner with restaurants located near cinemas and possibly even with Uber to get users a ride to the theater. It’s all about capitalizing on a night out at the movies, Farnsworth said. Shares of Helios & Matheson have gained 109% in the year to date, while the S&P 500 indexSPX, +0.65% is up 20%, and the Dow Jones Industrial Average DJIA, +0.24% is up nearly 26%. MoviePass is charging forward despite some major push back from theater companies. Yahoo Finance’s Dan Roberts, Melody Hahm, and Myles Udland debate the movie industry’s next move. The movie theater ticket subscription service MoviePass shook up Hollywood earlier this year when a majority stake in the company was bought by Helios and Matheson Analytics Inc., which resulted in the monthly service dropping their price to just $10 a month. For that price, subscribers are able to see one movie each day as long as it’s not in IMAX or 3D, and they can see the same movie as many times as they want to. It’s one hell of a bargain, and movie-going audiences have been paying attention. Just before Christmas, MoviePass subscriptions had reached 1 million paid subscribers, and if the credit given to the service for raising movie theater attendance is any indicator, the service is only going to get bigger. Deadline says MoviePass reached this milestone in just four months. MoviePass has been around a lot longer than the past four months, but it had a relatively small number of consumers for a few years and most of their customer base was built up during the past few months. By comparison, it took Netflix 39 months to reach 1 million monthly subscribers. However, it should be noted that Netflix was the spark that lit the fire for media subscription services to take off with consumers, so it’s not necessarily a fair comparison. Even so, the fact that MoviePass has grown so rapidly is impressive. The service has been operating rather smoothly after a rough start had customers waiting weeks to receive their Master Card debit card that they use to pay for tickets after checking into movie theaters through the MoviePass app. They’ve had some kinks in the system here and there due to the influx of new customers and the usual growing pains that come from a company expanding at such a quick rate, but they seem to be keeping most customers happy. Surely the Christmas season saw many more new subscribers gifted the service too. This all comes after the largest movie theater chain in the world, AMC Theatres, pitched a fit about the subscription service. Of course, we learned that’s all because their own idea for a movie theater ticket subscription service didn’t pan out the way they hoped. Meanwhile, the movie theater chain Cinemark is desperately trying to keep up by creating their own subscription service, but it doesn’t quite measure up to the bargain that comes from MoviePass. While it’s still early in the game for MoviePass, the company has made quite a splash in the film industry so far. If they keep growing, then the death of movie theaters may not be as close as some thought. But we’ll have to wait and see if MoviePass can keep this momentum going or if they crash and burn as AMC Theatres predicted. 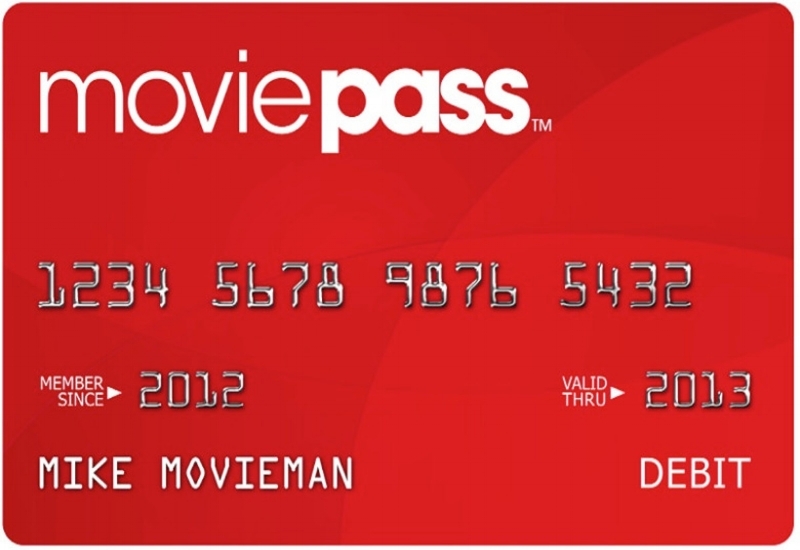 Are you happy with MoviePass so far? Just in time for the holidays, MoviePass, a movie-theater subscription service that's partially owned by analytics firm Helios and Matheson Analytics Inc HMNY, will be available to Costco Wholesale Corporation COST clients at a special price. MoviePass allows its consumers to attend unlimited movies at more than 90 percent of theaters across the U.S. for a fee of $9.95 per month. But as part of a special promotion, a full-year MoviePass subscription along with access to Fandor's library of over 5,000 digital streams, will be available through Dec. 18 on Costco.com for a one-time payment of $89.99. MoviePass' user base has grown to over 600,000 subscribers and some analysts are modeling a path towards 1 million users. A partnership with Costco could be seen by some as a move that would accelerate the company's growth profile. It's also important to note that Helios and Matheson's stock rose 1,000 percent in just one month before it was highlighted by Citron Research's Andrew Left as a short idea. "We've long been fans of Fandor's library of movies and we're excited to partner with them and Costco to bring new members this incredible limited-time offer," said Mitch Lowe, CEO of MoviePass. "MoviePass is ultimately about celebrating our love of movies, whether you stream them at home or experience them on the big screen. We feel strongly that our subscription model is a major step forward for the industry, and the increased attendance that we've seen as a result of the MoviePass service is an encouraging sign not only for theaters, but for the studios and distributors as well." HMNY shares were up more than 21 percent at $11.09 in Tuesday's session. Helios and Matheson Analytics Inc HMNY 8.46% spiked more than 12 percent Monday after MoviePass announced a new revenue opportunity — a deal with an undisclosed independent movie distributor to promote a particular film for performance-based compensation. “With studio-driven revenue, we have delivered on our promise to investors that our business model will continue to expand beyond subscription fees,” MoviePass CEO Mitch Lowe said in a press release. The added revenue source and active effort to influence moviegoing behavior may abate Street skepticism of the MoviePass model. MoviePass boasts of success in previous marketing campaigns, which corresponded with a 53.3-percent increase in ticket sales for Amazon.com, Inc. AMZN 0.48%’s “Last Flag Flying” and a 48.3-percent increase for Bleecker Street’s “The Man Who Invented Christmas” against non-targeted consumer control groups. More broadly, it claims efficacy in bolstering releases and sustaining screening attendance beyond opening weekend. “Our data shows that MoviePass has a demonstrable impact on revenue figures and percentage contributions to overall box office receipts for both major studio releases and independent films during Opening Weekend," Lowe said in the release. Helios and Matheson traded recently at $9.44, up 11.4 percent. Forbes: The MoviePass $89.95 Annual Subscription: Safe Bet Or Risky Business? In the weeks since MoviePass announced its $89.95 annual subscription promotion—a 25 percent discount off its $9.95/month plan—I’ve gotten lots of queries about the wisdom of taking up MoviePass on the offer. Most have expressed concern that if they put down their $89.95 up front, as the plan requires, they may get left with an unhappy write-off if the movie-ticket-a-day service goes bankrupt. It’s not an unreasonable worry, given that MoviePass not only seems to be unsustainable at the low average price of $7.50 per month, but also because it has attracted increasing ire from the movie theater chains with whom it does its business. But there are other considerations to factor in to the decision as to whether to purchase the annual pass. Here are two good reasons to go ahead, and three reasons to consider sticking with the monthly plan instead, or skipping MoviePass completely. 2017 industry stories continue to sound the alarm on box office woes. SMG, with the help of MoviePass, has experienced major increases in off-peak attendance as well as with smaller films. In 2016, Studio Movie Grill ("SMG") created a strategic relationship with MoviePass, the nation's premier movie-theater subscription service, to assist in driving traffic into its theaters. On the anniversary of that partnership, SMG is delighted to announce that it will finish the year with both positive comp store attendance and sales. The company considers its success to have been bolstered by its partnership with and early adoption of MoviePass, coupled with the growth of the in-theater dining concept and service model. In fact, at a time when competitors have seen a marked decrease in anticipated annual revenue, SMG is staying on track for continued growth due, in no small part, to the substantial partnerships it forged, including that with Movie Pass, and the subsequent guest loyalty it engendered. SMG partnered with MoviePass in experimenting with new concepts by combining the best of subscription and dine-in cinema to enhance loyalty and build new audiences. In addition, Movie Pass has seen tremendous success with millennials, who perceive great value in the program coupled with the time savings the extensive American Grill menu and in-theater dining offers at SMG. They also love the ease of use and subscription offerings. Members benefit from being able to take advantage of features like e-ticketing and seat selection directly through the MoviePass app. "MoviePass has enhanced our ability to open hearts and minds by providing a no risk vehicle for movie goers to sample movies they might not otherwise see. SMG was amazed to learn that in some cases, as with Lady Bird, MoviePass generated a double digit % of total attendance. We are in the business of creating the habit of movie going and we are excited to be an early adopter of MoviePass," said Brian Schultz, Founder/CEO, Studio Movie Grill. The largest gains SMG has seen from the program have been in driving attendance to off-peak times and bringing audiences in for a wider range of movies. In some cases, a monthly even weekly habit is created on the price point offered. Thus, MoviePass caters to the viewing habits of SMG's loyal guests and prides itself in producing theater attendance increases month over month from subscribers. "The MoviePass subscription-based model can be an integral part of the future of the exhibition business and we are excited to have been the leader in implementing the model in our theaters," stated Ted Croft, CFO, Studio Movie Grill. "As a conscious business, it is important for SMG to be focused on being actively involved as a partner in innovative steps towards enhancing the future of movie going and to supporting our stakeholders." Helios & Matheson Analytics (NASDAQ:HMNY) agreed to guarantee the financial obligations of MoviePass to PayPal. MoviePass is cutting the price of a movie to less than the cost of a popcorn and a drink. For a limited time, the all-you-can-watch movie ticketwill now cost you just $6.95 a month — 30 percent below its usual $9.95 price. But there’s a small catch — you have to pay for an entire year upfront. The special-offer $89.95 price includes a $6.55 processing fee. Back in August, MoviePass was an expensive, niche service, charging users up to $50 a month to see as many movies as they wanted in theaters. But then the company upset some theaters owners by slashing the price from $50 to $9.95. Americans loved the lower price and the number of MoviePass subscribers ballooned to over 600,000. Ted Farnsworth, chief executive of Helios & Matheson Analytics, which took a controlling stake in MoviePass before the price cut, told The Post that the company decided to offer the limited-time lower price because it is determined to get its subscriber numbers past the 1 million mark. It is already making its mark on the theater industry, according to Farnsworth. MoviePass was responsible for 4 percent of all tickets sold for the recently released “Murder on the Orient Express,” which pulled in over $36 million in its opening weekend, according to Farnsworth. It has been a little over a week since we last covered Helios and Matheson Analytics Inc (NASDAQ:HMNY) and, at the time, the company was trading considerably down on its pricing from just a few days earlier. From highs around $35 during early to mid-October, the company had fallen to around $10 a share – a decline of a little over 71%. The decline came in part due to profit taking on the steep run-up throughout September and in part due to markets letting off steam after what was (in all likelihood) an overenthusiastic response to the development that kicked it all off. No media-related stock has been on a wilder rollercoaster ride these past few months than Helios & Matheson (NASDAQ:HMNY), owner of the MoviePass movie ticket subscription service. The company’s share prices went on a 1,400 percent tear starting on September 15, when MoviePass announced that it had signed up 400,000 subscribers in the month since it rolled out its new $9.95 per month “all you can watch” plan. After rocketing from $2.50 per share on September 14 to a high of $38.66 just 19 trading sessions later on October 11, the stock rapidly drifted down to the $10.00 range, where it bounced around for a few weeks until yesterday. That was when Helios revealed that it had secured a $100 million convertible debt commitment from institutional investors for the purpose of further funding MoviePass, and for general corporate purposes. That sparked a 45.2% pop for HMNY’s shares on Tuesday, to a closing price of $14.20. Helios and Matheson Analytics Inc (NASDAQ: HMNY) closed up 47 percent Monday on news of an increased stake in MoviePass. That brings the stock up 330 percent year-to-date — and one expert thinks it’s still has room to run. MoviePass recently reported that it saw a 30-fold increase in paying monthly subscribers from 20,000 in August to 600,000 in October. Moviepass CEO Mitch Lowe discusses how his company's $10/month subscription for unlimited movies may help reenergize the movie theater business. Have you seen Helios & Matheson (HMNY) today? Have you seen the stock this month? The stock traded at around two bucks until mid-September. This morning, the shares have traded at just under $39, and just above $28. Nothing to see here. Keep moving along. The stock closed on Friday afternoon at $15.75. So what gives? And who the heck is Helios & Matheson? It's been a busy two months for MoviePass CEO Mitch Lowe, but he's relaxed and friendly as we discuss what it's like to be thrust into the spotlight overnight. In August, his startup caused a frenzy by dropping the price of its subscription, which lets you see one film a day in theaters, to $9.95 a month. MoviePass announced in mid-August that it was reducing the fee for its subscription service, which pays for up to a movie ticket per day, to just $9.95 per month. Lowe told me he had hoped the promotion would quickly double the company’s membership base to 40,000. That turned out to be a modest hope.